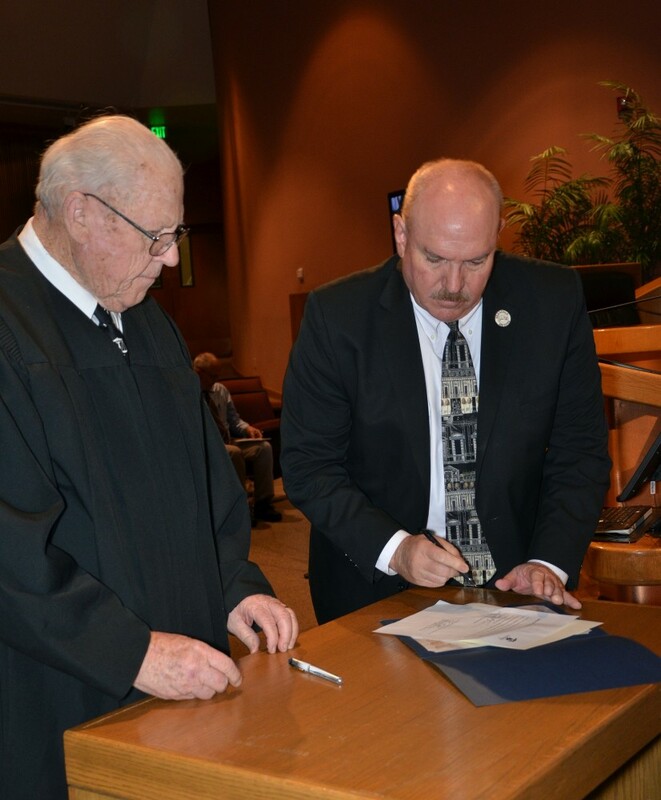 Three members of Glendale’s City Council were installed to new terms this month. 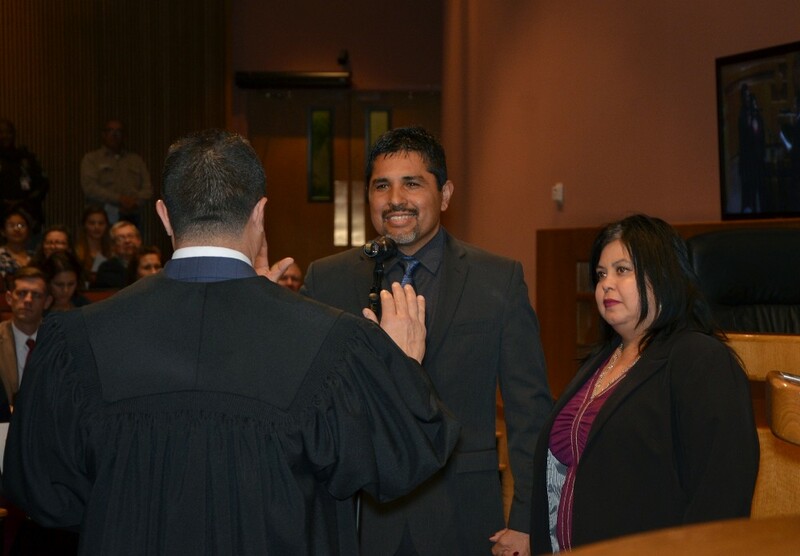 Barrel District Councilman Bart Turner, Vice Mayor Lauren Tolmachoff of the Cholla District and Ocotillo Councilman Jamie Aldama were sworn into their new terms Tuesday, Dec. 11 at the Glendale City Council chambers. Each won re-election in the August primary election. Their new terms will end in 2022. This is the second term for each of the three returning Council members, who each first took office in 2014. In the August primary, Mr. Turner defeated challenger Ray Strahl and Mr. Aldama defeated challenger Emmanuel Allen, each by a 62 percent to 38 percent margin. Ms. Tolmachoff ran unopposed, garnering 99.26 percent of the vote. 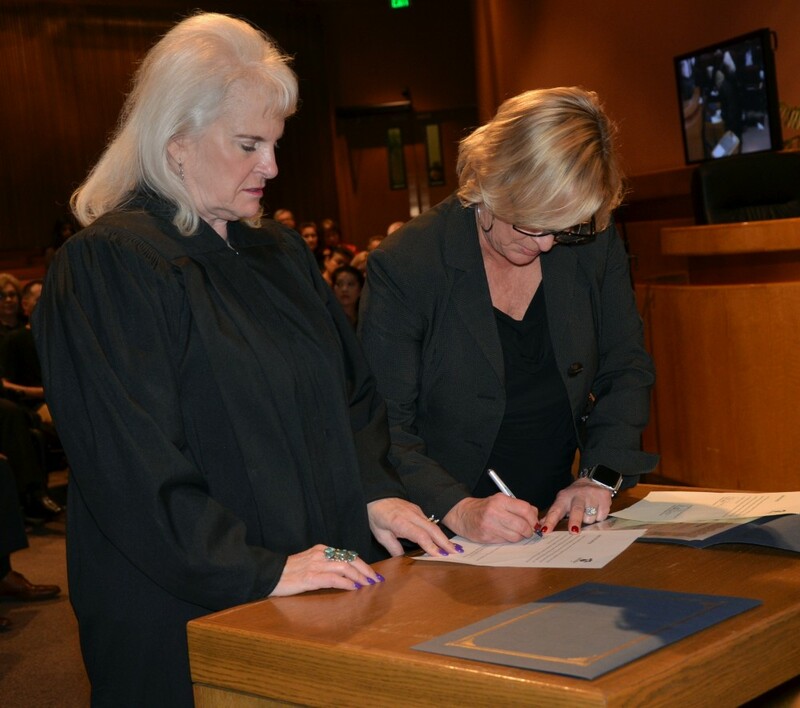 Mr. Turner and Mr. Aldama did not need to proceed to the November general election because any Glendale Council candidate who receives more than 50 percent of the vote in the primary is declared the winner. 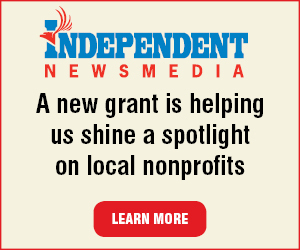 The other members of Glendale’s city council are Mayor Jerry Weiers, Sahauro District Councilman Ray Malnar, Cactus District Councilman Ian Hugh and Yucca District Councilwoman Joyce Clark. All four will come up for re-election in 2020. Editor’s note: Ms. Sharpe photographs and writes for GlendaleDailyPlanet.com.